A friend and I were talking about our journey to peace. This process involves downplaying events that may have previously gotten us upset because we realized that there is no benefit in getting upset. While calming the nervous system to not be in fight, flight, or freeze mode there is also a bit of quieting down the excitement to the happier things in life. Life is just a serious of events that lead to the next event and if you were in the “make a big deal out of everything mode” than your autonomic nervous system is in constant go mode which makes relaxing and being still very difficult. So when you begin to down play events and not let them rattle you, there may be a slight loss of excitement even with the joyous events. That will only happen if you choose to let that happen if it is necessary to quiet everything down at first so the harder events in life don’t pull you down. Now, you don’t want to be numb to life because then you are not living or being honest with yourself. That is being in the freeze mode. There is a big difference of being frozen versus not getting so worked up about events in your life. Do what you need to honor your body with where you are at. As you are able to maintain a quieter state of being, then those happy events will once again become a big deal while the challenging events still won’t have such a strong effect. If you need to celebrate the small events in life to override the tough times, do it! My kids and I went away for 4 days and my husband missed the girls terribly. 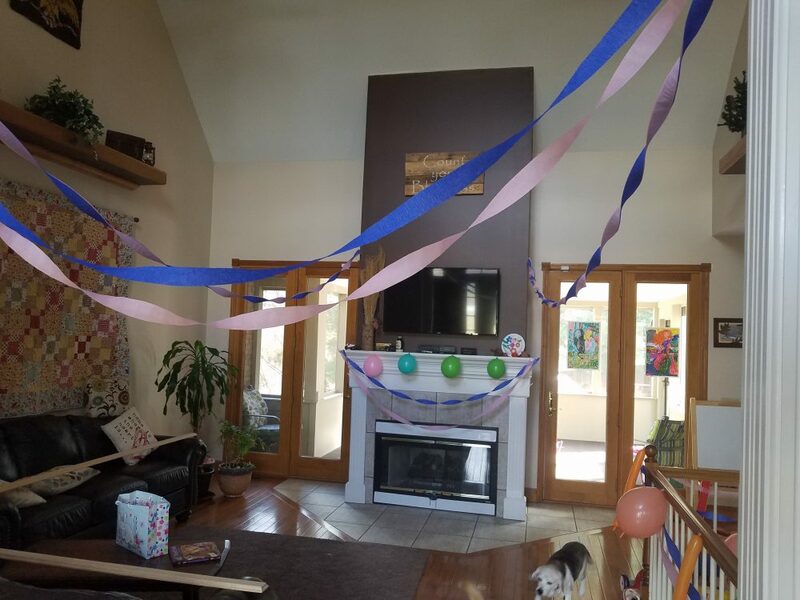 To show them how much he missed them, he put up balloons and streamers to welcome them home. They were so touched and had a ball playing with the balloons and streamers. So, celebrate the small things in life and don’t let any event pull you down because they are all just events to lead us to the next place. Be at peace.